Apple worked for an entire year on a new file system, but according to Craig Federighi, “every time we’d add a couple new emoji, it would be the biggest thing.” So, in iOS 10 emojis are three times bigger. 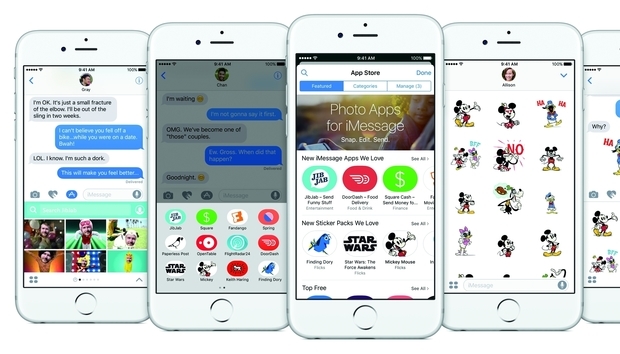 Not only that, but Apple added a handful of visual tricks to Messages, and transformed iMessage into a platform for third-party apps. Needless to say, there’s a lot you can do in the new Message, so let’s get started. These features have been made available via the iOS 10 public beta, but we expect them to get refined before the final iOS release this fall. You can read how to install the public beta here. In addition, the recipient will also need to have installed iOS 10 in order to view most of these messages in all their eye-popping glory. Otherwise they show up as regular text with a description of what the visual should have been, like (sent with fireworks). Not nearly as captivating. And Android users won’t be able to experience these visual effects at all. When Apple announced that emojis in iOS 10 would be three times bigger during WWDC, the crowd cheered. In order to get the super-sized versions, however, you have to send an message containing only emojis. Adding text shows regular-sized emojis.